After a week and two days of non-planned blogging break. I ‘m not going to come up with excuses, some days I’ve been way too busy, others way too lazy tired 🙂 I know, I may sound too hard on myself but in the past couple of weeks I’ve been working on several assignments, all part of an important project I have for this coming September so as soon as I get a little bit of time I try to relax and breathe. I have to admit I won’t be blogging as much in the following weeks, but I will try to post as often as I have the energy to do it. One of the reasons being that I really love coming here and leave something written to remind me of the beautiful moments I enjoy with my children and secondly because just by jotting down ideas and projects in order to work on a post, I feel my life gets to be more organized. I know you may think this can be simply putting more pressure on oneself, but if you give a try to blogging you will understand what I am talking about. So here I am, this time with a game for 8-10 year olds. Originally, this physical game is called LISTONES = ribbons, but I guess you could call it anything else depending on what sort of vocabulary you want to facilitate. It is quite straight forward and you don’t need anything but enough space for children to run. 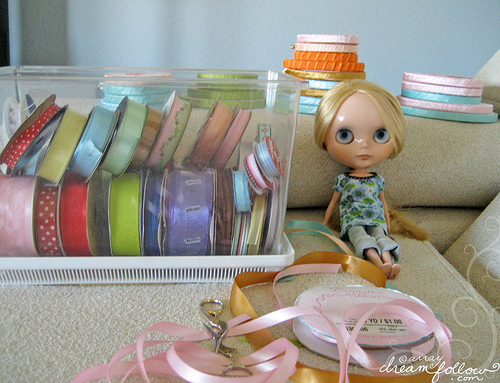 a number of “colours” for the “ribbons” (which will be the rest of the children) as many as you want. The “shop keeper” and and the “ribbons” will decide which way each ribbon will follow, always with the intention of coming back to the shop. The “buyer” (who could have an assistant) will choose where to stand as in his home. Next, the ribbons step in line and the shop keeper will tell each of them (by whispering) which colour each of them are. SHOP KEEPER: “Quien es?” =Who’s that? SHOP KEEPER: “Que queria” =How can I help you? SHOP KEEPER: “De que color” =What colour? The child with that colour then will run as accorded and will try to go back to the shop, if he gets caught he will go “Home” with the buyer and so the buyer will keep asking for more colours until all of them are gone. If he can safely return to the shop, he will wait for his colour to be called again. It’s quite a fun game, after all, children love running and being chased, but I bet there could be other fun ways to use it. Last week, after doing some mini-projects with my son’s inspiration on leaves, I thought I could give this game some use with shapes as opposed to colours. Maybe designating shapes to “leaves” being asked by “caterpillars” or “butterflies”, well, when I use this game with its variations I will pop one or two other ideas in here for using it, maybe even with smaller children.For now, How would you use this game? Do you know other physical games that can be altered for other set of vocabulary? If so I would love to hear about them. This entry was posted in Homemade Toys and Games Ideas and tagged juego de patio, juego vocabulario, playground game, under 10's, vocabulary game by Bodymindsoulparenting. Bookmark the permalink.